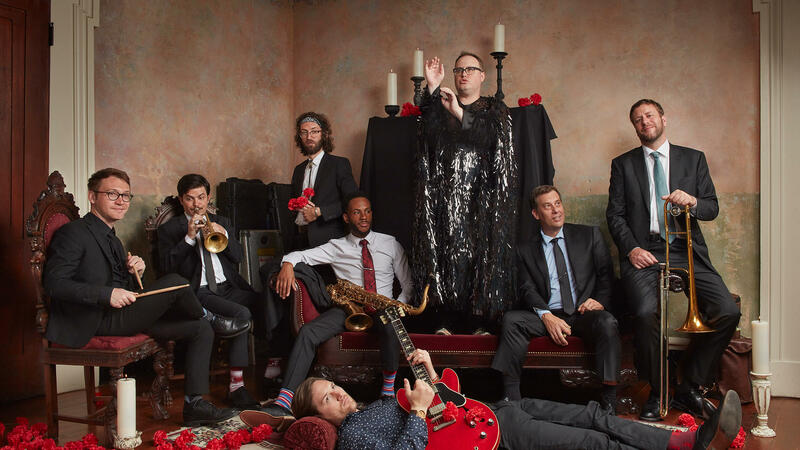 For six years, the eight-piece Alabama band St. Paul and the Broken Bones has been all about rafter-shaking retro soul: Singer Paul Janeway has never been much for nuance — watch him wail atop the Tiny Desk for just one example — but he's long known just how to grab you by the collar and shake you into submission, aided by a huge gaggle of dynamite supporting players. All of which helps make the band's new single "Apollo" — from a new album called Young Sick Camellia, due out Sept. 7 — such a refreshing and surprising slice of sly summer funk. Janeway still knows how to pour on the intensity, of course, but he's also developed a gift for dialing it down and letting his songcraft do some of the work for him. For Young Sick Camellia, St. Paul and the Broken Bones worked with producer Jack Splash (Solange, Diplo, Kendrick Lamar, et al), and "Apollo" hints at just how far they've been willing to expand the band's sound together. Young Sick Camellia comes out Sept. 7 via RECORDS.